Summer is here. It has brought with it the scorching heat. To find comfort in this weather, a ceiling fan is a must-have. It gives you the cooling effect you crave for, all the while reducing your electric bill, unlike an air conditioner. It’s not easy to choose the best ceiling fan. Even, if you don’t know how to select perfect ceiling fan. But don’t worry about it. 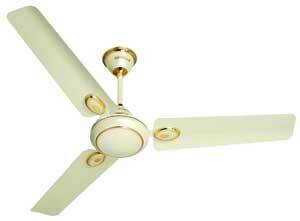 If you are looking for the best ceiling fans in India then here you will get your answer. In today’s post, I will talk about the best ceiling fans in India in 2018. I will give you detailed descriptions, pros, and cons, on each one to help you find the perfect fan for you. So, let us begin. Now I will give you the list of best ceiling fans. To help you even better, I have divided them into two categories, budget ceiling fans, and high-end ceiling fans, according to their price. 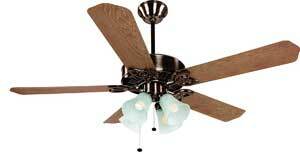 This category contains ceiling fans that are relatively cheaper regarding money. These will be extremely useful if you are on a tight budget. This Apex-FX from Orient is one of the best fans in the class. The brand is a reputed one, and the product has lived up to that expectations. It has the most efficient motor in the category. The Motor is the heart of any ceiling fan. It is a high-speed fan that operates at a voltage of 220-240 volts. However, it is a bit noisy when rotating at at at high speed. 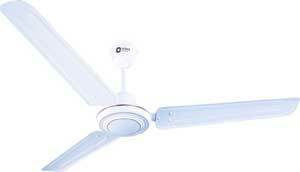 Another good option in the budget category is the Havells Pacer 1200 mm ceiling fan. It is a fan worth checking out. It is also a high-speed fan. The device gives incredible performance even at the lower voltage. It has an rpm rate of 400, which gives you good circulation of air. However, this fan also creates a slight noise when in high speed. Crompton is a reputed brand of ceiling fans. 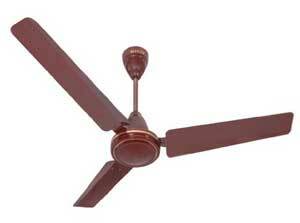 Their Hill Briz 1200 mm is a good product in the budget ceiling fans category. It has a blade sweep of 1200 mm. Blade sweep helps to circulate air into the room. The higher the blade sweep, the better the fan is. It has a speed of 320 rpm, giving you a nice flow of air. 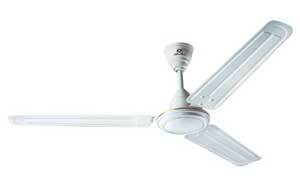 Another bid player in the market Bajaj has a nice product in this price range, the New Bahar 1200 mm ceiling fan. Let us discuss its features. It is a high-speed fan. It has a coated finish that is rust free. This adds to its durability. The side bend blades help to give a superior circulation of air. However, it creates noise when used for long hours. It is a disadvantage for many customers. Havells has another good option in the price range, the Fusion five star 1200 mm. It has an air delivery rate of 225 cm, enough for an ample sized room. The speed is 350 rpm, this lets you circulate the air all over the room. However, the fan is quite noisy. It is not so easy to clean as well. 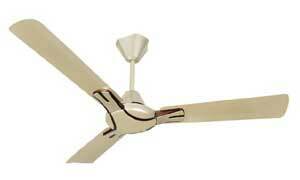 The Havells Nicola 1200 mm ceiling fan in another great choice in the category. Let us see its features. It is a combination of style and comfort. The build quality and design, matched with brilliant color combinations make it an essential for your home. It is available in 600, 900, 1200, and 1400 mm sweeps. The fan is noisy, that is a huge turn off for some customers. High-end ceiling fans are a bit higher on the price list. However, with the higher price list comes better amenities. 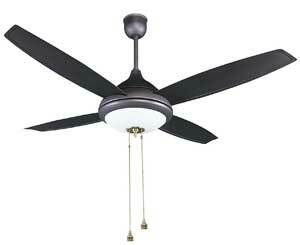 Let’s check out the best ceiling fans in this category. 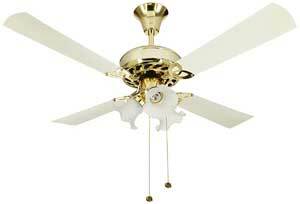 Crompton Luster Eros is one of the ery best in the high-end category of ceiling fans. The fan has an elegant design that lightens up your living room. It has a three tone LED light attached to it that adds to its features. It takes up 78 watts of power. It is difficult to clean the fan. 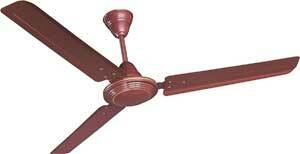 Usha is one of the best ceiling fan brands out there. Their Fontana Maple is a great choice in high-end fans. The design and build quality are beautiful, giving you both style and durability. The removable light adds up to its style. However, it is utterly expensive. So not ideal if you are on a tight budget. It is also not very easy to clean. 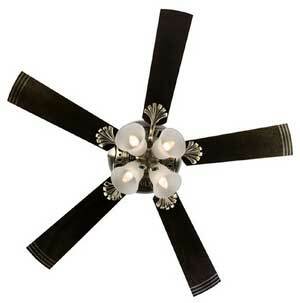 Another fan to add that touch of style to your home is the Orient Electric Subaris. It has a 1300mm fan sweep. The motor is the best in the category. It adds to the durability and functionality of the fan. It has a reversible motor that circulates cool air in summer. Also, it circulates warm air in the winter so that you can use it in both seasons. It has a double bearing to remove the unwanted sound. The Crompton Uranus is a nice choice in the high-end fans category. Let’s take a peek into its features. This amazingly beautiful fan has consisted of four blades. It also contains three lampshades attached to its motor. It operates on 72 watts of power. The 1200 mm of fan sweep ensures greater speed and better air circulation. Now for editor’s choice, I have one fan from each category to help you decide and buy the best product for you. 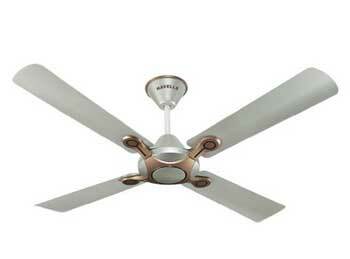 If you are on a tight budget, but still want a good ceiling fan, go for the Orient Electric Apex-FX. It has the best motor in class with excellent build quality. The air flow is good enough for a big room. In all words, it is a value for money product. If you are looking for higher-end products to add a touch of elegance to your home, go for the Crompton Luster eros. The superb design and build quality ups your living room. The LED light attached to it adds to its features. So, these are the best ceiling fans in India in 2018. I hope the article was helpful to you. Thanks for reading! Stay tuned for next articles. Share your thoughts on the ‘Comments’ section. Happy shopping!